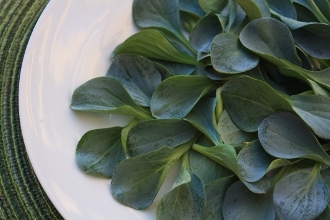 Gorgeous, light grey leaf with an amazing, authentic Oyster flavor. You must taste it to believe it! Vegan alternative to oysters. Garnish seafood plates or add fresh flavor to salads.